Two years in the making and the Moonlite Bar-B-Q Inn is now ready to unveil a new sweet red wine that pairs perfectly with its award-winning barbecue. It’s called Pit Master Reserve and it’s produced by the most award-winning Kentucky winery too. It’ll make you swoon at the moon. 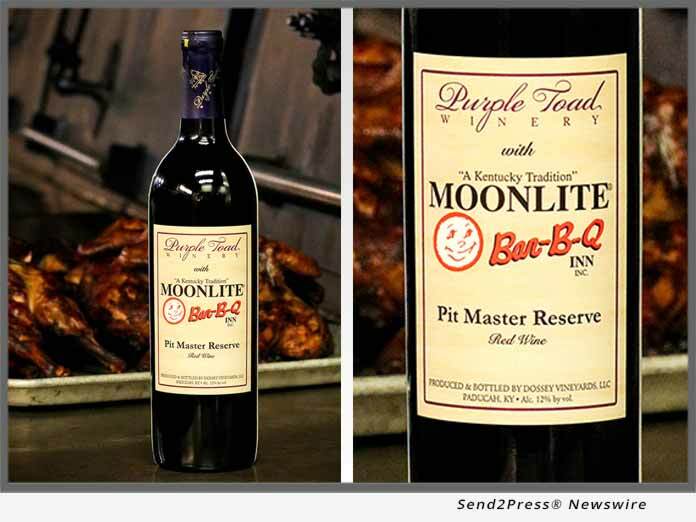 (OWENSBORO, Ky.) — NEWS: Two years in the making and the Moonlite Bar-B-Q Inn is now ready to unveil a new sweet red wine that pairs perfectly with its award-winning barbecue. It’s called Pit Master Reserve and it’s produced by the most award-winning Kentucky winery too. It’ll make you swoon at the moon.